A couple of Sunday’s ago as I sat rocking my son (it still feels weird to say that) I was so overcome with emotion as to how I could love someone I’ve only known such a short while so much. It is just like everyone said it would be and then some. 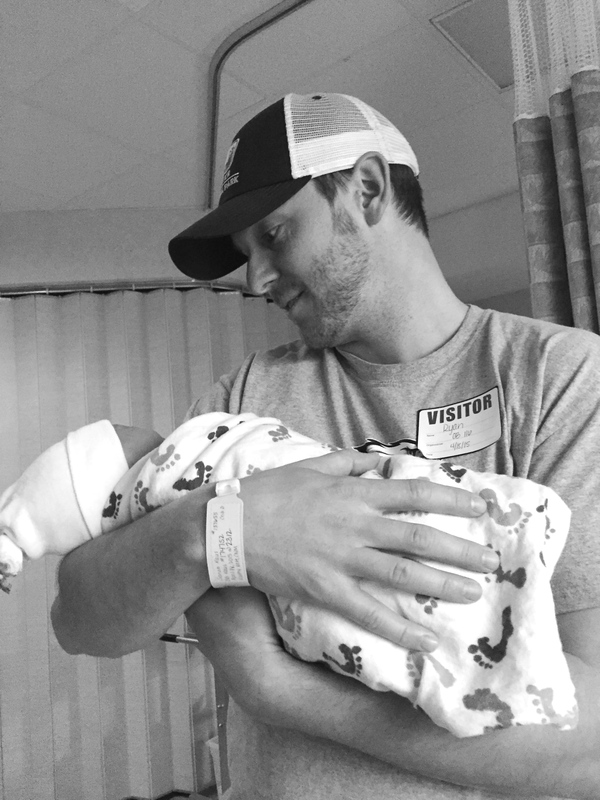 As I relistened to my labor and delivery playlist, I was immediately taken back to the day of his birth and the emotions I felt. All the excitement, fear and anticipation. 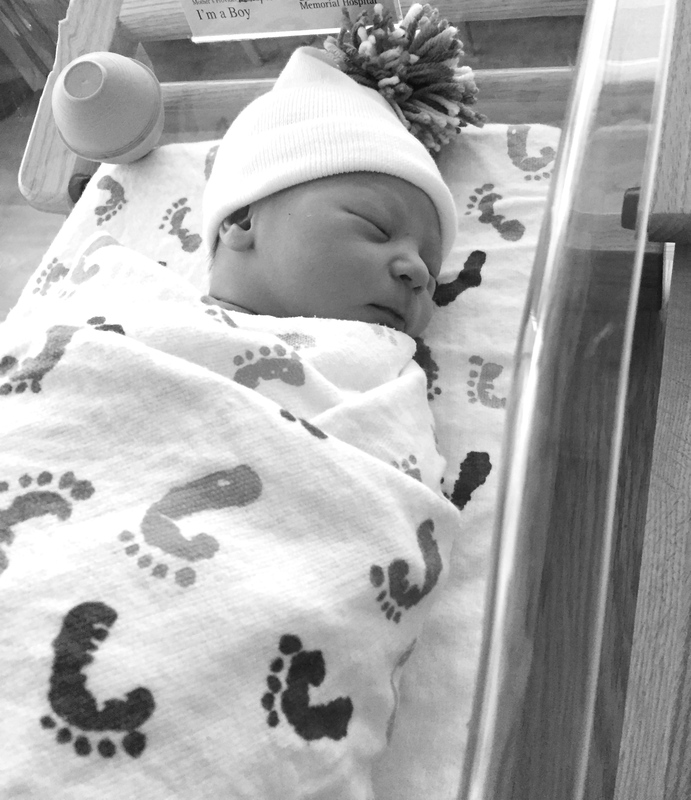 As I rocked this perfect-to-me boy and looked at his little face, tears streamed down my face because I felt so happy, lucky, and blessed in that heart-is-going-to-explode way I had never experienced before giving birth. 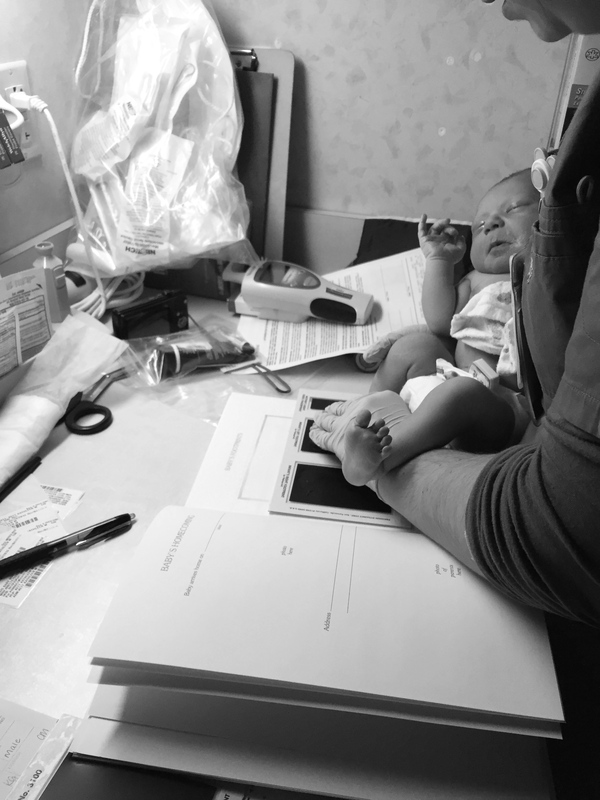 I wasn’t sure if I’d share this with complete strangers and even those I know, but I just don’t want to forget the details of what turned out to be such an amazing experience-having my son. The experience was so much greater than I could have anticipated especially given how scared of delivery day I was ahead of time. 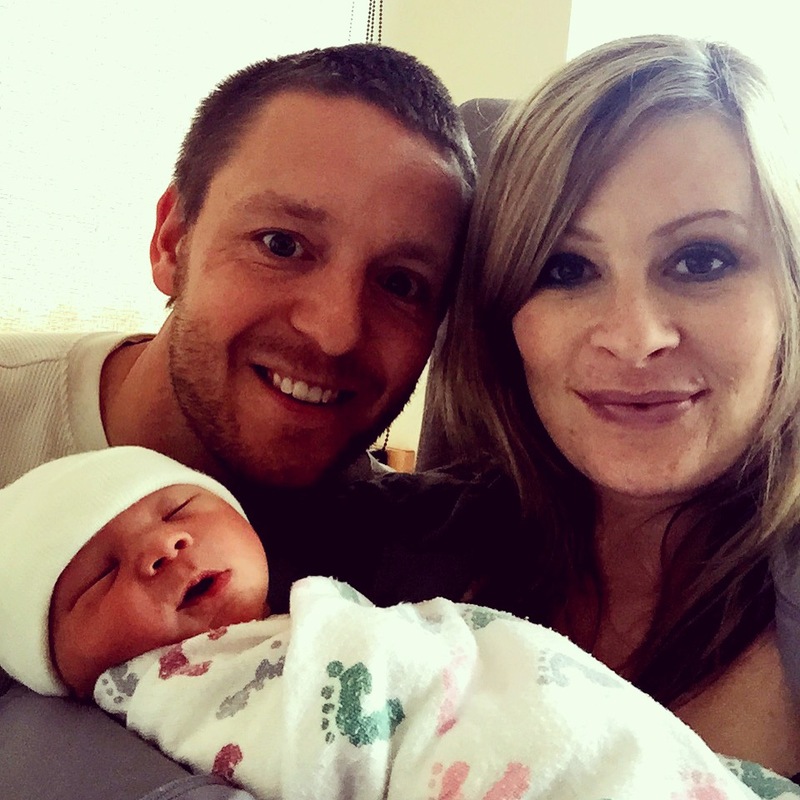 If you don’t like birth stories, then just skip this post. If you’d rather just see photos, then scroll down and skip the reading. I promise there are no explicit descriptions or photos! I’d read lots of books. I practiced my breathing and meditation techniques outlined in The Bradley Method book. I wanted to go from least invasive pain management to an epidural trying other options along the way. I was ok with having an epidural if I ended up exhausting other options. Knowing all of this I don’t know why I was so afraid. I also had a great support person in my husband. Maybe I was scared because I’d never experienced real pain. I only got my first stitches two years earlier. I’ve been fortunate enough to not break a bone or need any kind of surgery in my 30 years thus far. It could also have simply been the fear of the unknown. 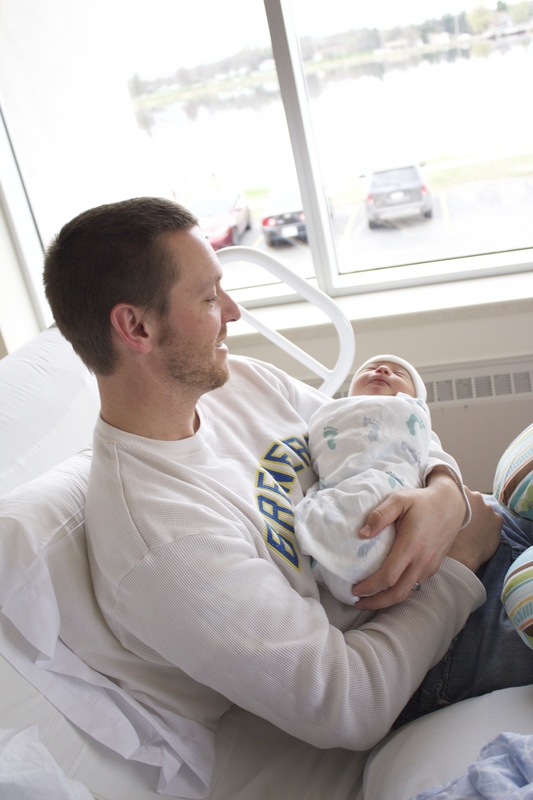 Labor and delivery is not something you can really relate to other life experiences. People have said to me “Oh, if you’ve run a marathon then you can handle birth.” That might be true for someone who is unprepared and under trained for their first marathon, but labor is totally different and can last WAY longer than a 26.2 mile race where you can take walk breaks if you need and even drink a beer on some courses. When my body gave signs that this whole thing would be happening soon, I was first in denial and then excitement and fear set in. During the first parts of labor luckily excitement cancels out the fear. As things got more intense I really did’t have time to be afraid because I was busy breathing and focusing through the pain. I forgot to be afraid and focused on getting through one contraction at a time. Friday, April 17th was our little guys due date. I know statistically babies rarely arrive on their due date. I am a planner and don’t like that stat, but our guy must have known and at least labor started on his due date. At school I was experiencing contractions here and there, but they really didn’t feel like much or have any sort of pattern to them. At the time I’m not sure that I even really thought labor was really under way. My instincts did tell me to make sure absolutely everything was taken care for Monday though. It was a good thing I did because by 5:00 pm on Friday night I was positive they were contractions. The pain was only in my back so it wasn’t what I expected and they came about every 7 minutes. It was at this time I made sure my hospital gear was packed with the last minute items I needed to pack. I then started making my labor and delivery playlist, the one thing I wanted to do yet that I hadn’t had time to complete. 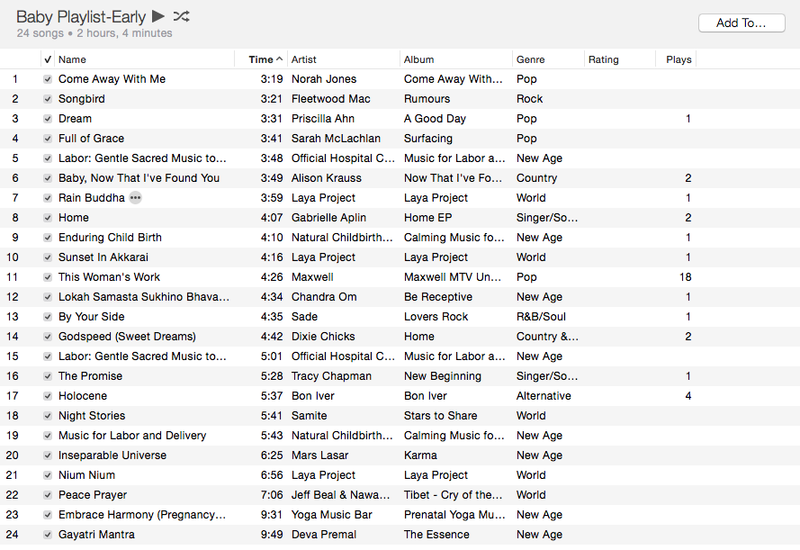 I used some online playlists and my own iTunes library to try to build a list of music that would help me focus and cope during early and active labor. Some of the songs for earlier labor were songs that had a sentimental focus or emphasis to remind me of the entire reason for all the pain and work-our baby boy! The songs I chose for active labor were yogaish songs designed to help me focus and relax. I love how yoga helps relax your entire body. The music was a reminder to do just that. I was also pretty sure word music might be rather annoying at that point. 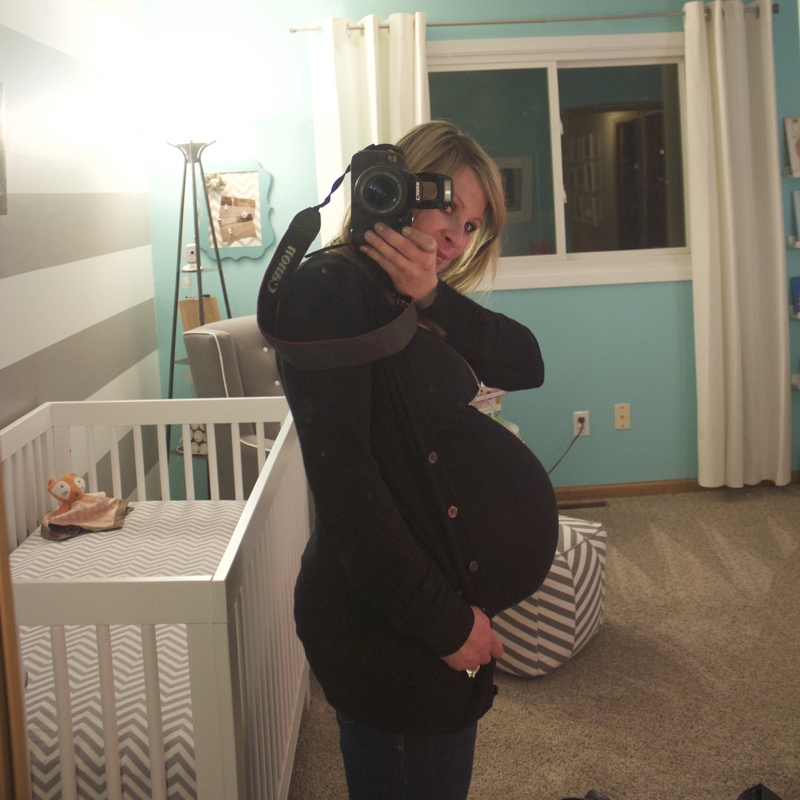 In early labor…my last pregnant photo! By 10:00 pm the labor playlist had been made, listened to and our bags were packed. Contractions were more like 5 minutes apart, but were sometimes irregular and were lasting a minute to a minute and a half. We headed to bed with excitement and nerves in anticipation of what was to come. I didn’t have any idea how long this early phase would last, but knew it could be a while. My early labor playlist is below. At around 1:00 am the contractions became too strong for me to sleep through. I also could not stand laying down as the contractions were in my back and that made it so much worse. 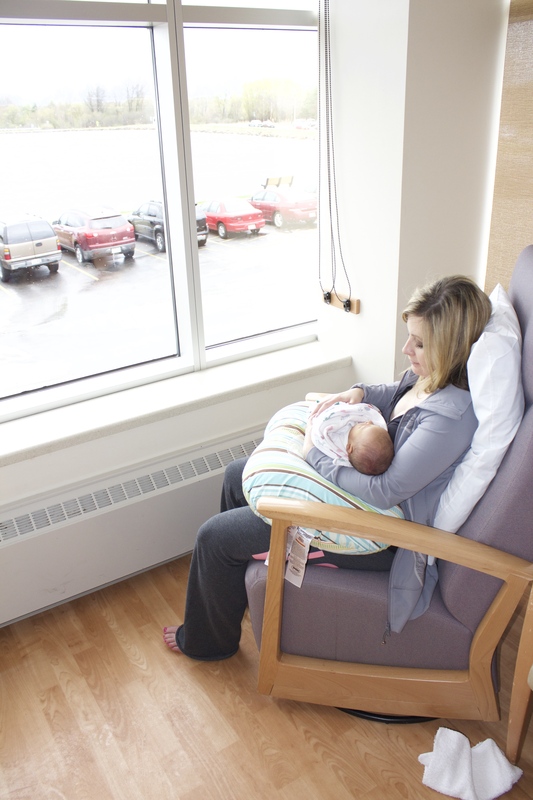 I moved into the nursery where I could sit in the rocking chair comfortably in between contractions. 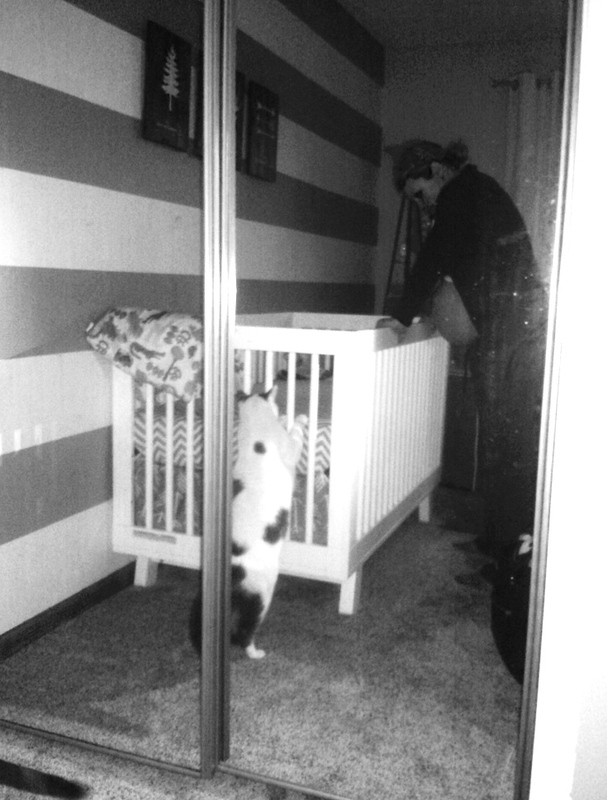 I was able to sit in the chair during contractions for an hour or so, but soon I had to stand against the crib in order to breathe through them. The contractions were now 4-5 minutes apart and lasting a minute. It was around this time that I woke Ryan up as I could not handle keeping track of my contractions on my contraction app (My Contractions) accurately anymore. I began returning to the chair to sleep in between each contraction. Elf helping me with a contraction! He kept doing this trying to figure out what was going on. Because we live close to the hospital we were told not to come in until the contractions were 3 minutes apart and lasting for 1 minute or longer for at least 1 hour. Throughout the early morning hours my contractions became closer together and had already been lasting for over a minute since 1:00 am. Around 4:00 am Ryan mentioned that most of my contractions were 3 to 4 minutes apart. They were sort of irregular though so it was hard to tell what to do. He was paranoid and wanted to call the hospital. I didn’t think it was time to go yet. Around 4:30 he called and we were told to try taking a shower or bath and go from there. I showered aiming the water at my back and then sat in the bathtub for a while. Things slowed down a bit after sitting in the water. After getting out things picked up again. I was worried about getting to the hospital too soon so I kept holding Ryan off. Around 8:00 am I agreed it was time to go as my contractions were mostly 3 minutes apart and lasting 1-2 minutes for over an hour. Sometimes they would be more spaced out though. The irregularity was difficult to tell, but I later learned back labor can be like that. Getting out of the house took about 15-20 minutes. I told Ryan if I was less than 4 cm dilated I was going to be pissed. 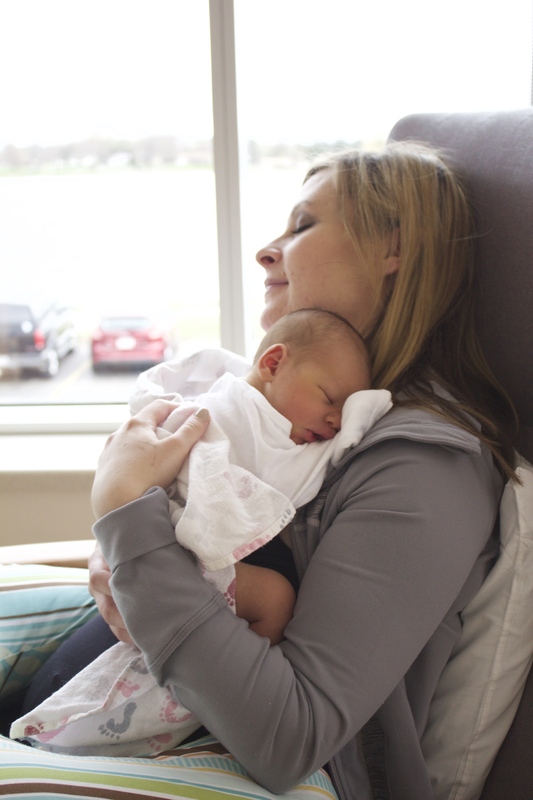 When we arrived at the hospital I had to stop to have a contraction in the parking lot, at the front desk during check in and immediately upon entering the labor and delivery area. I was feeling like it was a good idea we came when we did. Upon being checked I found out I was…drumroll…ONLY 1 CENTIMETER. I honestly didn’t know how this was possible. I did not want to labor at the hospital for nearly the entire labor. I was 90% effaced and the baby was low, but I was so disappointed. I followed their 3-1-1 guideline so how was I only 1 cm and how could it hurt this bad already. Seriously, some people walk around more dilated for weeks before labor and have little to no pain. As it turns out though it was probably a good thing we went in. As I was hooked up to monitors for the nurses to monitor my contractions and baby, our little guy’s heart rate dropped. They had me try different positions and while on my side the baby’s heart rate returned to normal. They contacted my midwife who came in to break my water to make sure the amniotic fluid was clear and not tinged with meconium or some other concern. I also got an IV of fluids in case I was dehydrated. Here my birth plan began to go out the window. Good thing I was never extremely attached to it. At about 9:30 am my midwife broke my water. She said the baby was sunny side up which was likely the reason for my back labor. She gave me several positions to labor in to try to turn the baby. All but one involved laying down which was almost unbearable. I followed her directions as best I could spending 15 minutes in each position. After having my water broke the contractions became even stronger. I used lots of positions to cope, spent time in the shower, had Ryan rub my back, used a heated rice sock and was doing whatever I could to manage my horrible back pain. I was hoping to have a water birth or at least try the tub, but I knew it wasn’t an option until later on. Getting in the tub too soon only slows labor down. I also forgot entirely about my labor and delivery playlist. At around 11:30 am I decided I wanted something to take the edge off. My contractions were coming every few minutes, lasting a couple of minutes and my back continued to hurt even in between. I got a shot that was supposed to take the edge off. I would say it did not, but it did let me relax and rest in between contractions. A couple of hours later I again asked for another shot to take the edge off. I kept hoping it would do just that, but it never seemed to. This would be the reason why there are no photos of the actual labor. I could only focus on getting through each contraction. Around 2:30 in the afternoon I was starting to get really tired from being up since 1:00 am. I was falling asleep standing up in between contractions. Ryan had given me a few Skittles to cheer me up which I threw up. I was worried about how much longer this would last. My back seemed to permanently hurt and it felt like my contractions were never ending. I just wanted a few contractions in the front to give my back a break although this never happened in my labor experience. Soon it felt as if I would have a contraction, take a few steps and have another contraction and repeat and repeat. I was not prepared for back labor and never thought about it ahead of time. I also thought the early parts of labor would be less painful. At 3:00 pm after trying to discuss with Ryan if I should just cave and get an epidural, I decided that I was tired and needed a break if I was going to be successful with this labor. The actual discussion was not really complete sentences. Ryan said I mentioned something about wanting the angels to come. I was referring to my friend describing getting an epidural as being like angels coming. Ryan could not figure out why I kept saying I wanted the angels to come. The nurse checked me before putting in an order for an epidural. I was 4 cm. 4 *$)#)($ centimeters. In 7 hours I had only dilated 3 centimeters. I had been up with contractions every 3-5 minutes since 1:00 am. I was definitely making the right decision. At this point I did not have the energy to try the tub and water birth. I was disappointed in myself, but again knew it was best for me to save my energy for later on during delivery. At 4:00 pm my epidural was in and life was good. The angels came. I was exhausted and the epidural helped me to rest and sleep and took away the pain. After a bit though the baby’s heart rate was dropping again when I was on my back so I had to switch from one side to the other every so often. 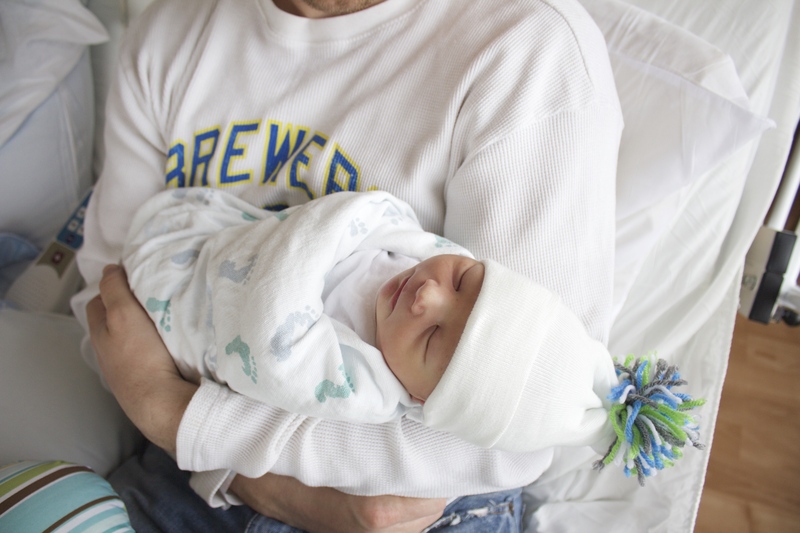 The nurses and midwife suspected his umbilical cord was wrapped around something. The epidural would then work better on one side allowing me to feel more on the other side. Since I couldn’t be flat on my back without the baby’s heart rate dropping I just had to deal with it. It was still so much better than without the epidural. During the next few hours Ryan and I slept as best we could with interruptions all the time. All I could think about was how exhausted I was and that I hoped everything was ok with little man. At 6:00 pm I was still only 4 centimeters. If I did not progress at a faster rate by 8:00, then there was talk of pitocin. Everything in my birth plan was out the window. Luckily by 8:00 pm I had progressed to 7 centimeters so pitocin was not needed. 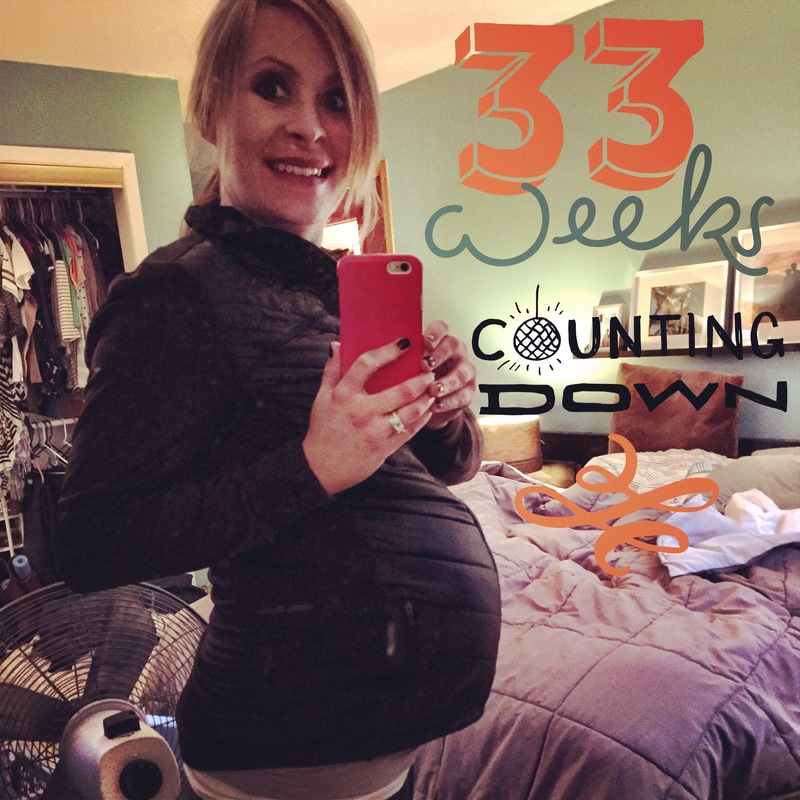 Soon I began feeling contractions throughout my back again even after the epidural (although a much milder form) so I figured I was getting closer to 10 centimeters. I was feeling like pushing more and more, too. Shortly after 10:15 pm I finally reached 10 centimeters. This affirmed my choice to get an epidural. I don’t want to think about what pushing would have been like with six more hours of back laboring to 10 centimeters. I was feeling so tired still. After such a long day I was so grateful that pushing went much faster than I thought it might. My midwife turned the baby so he was not born sunny side up. I was also lucky enough to be able to feel my contractions and the baby enough to push efficiently without being in real pain. 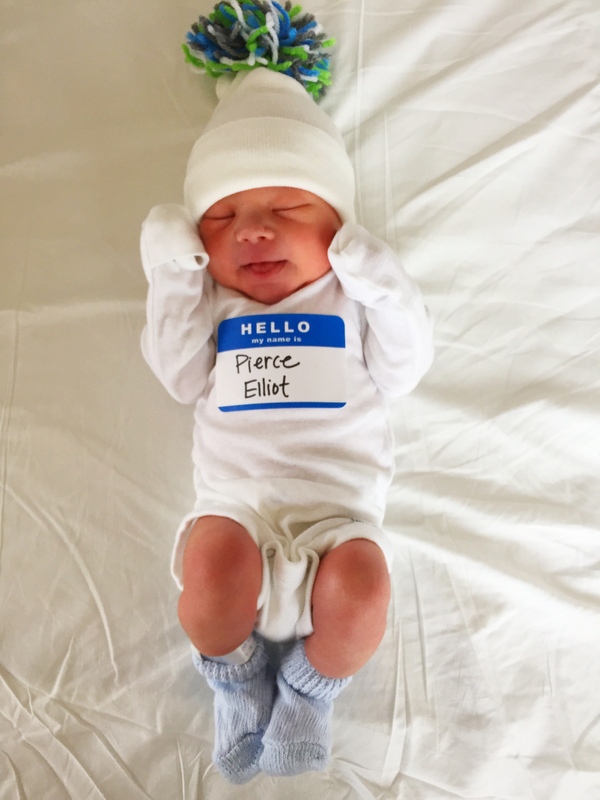 At 11:12 pm Pierce Elliot arrived! 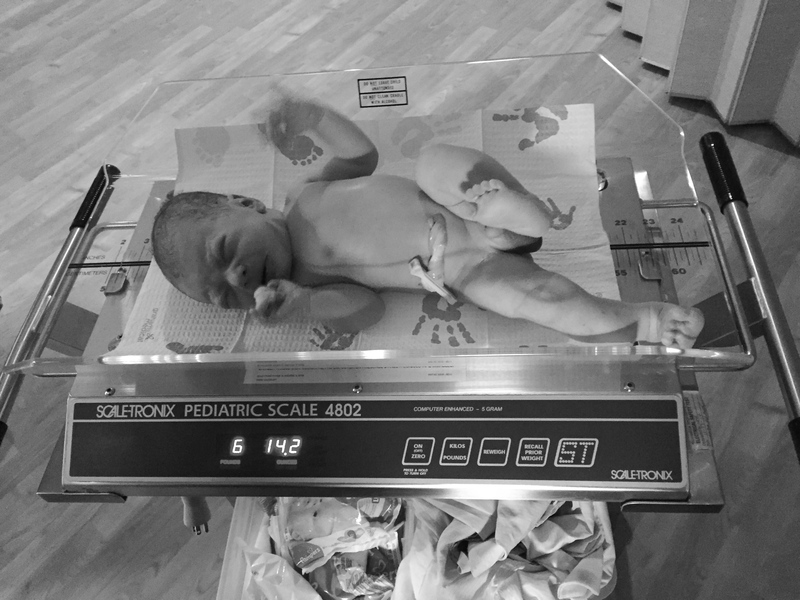 He was 6 pounds, 14 ounces and perfect in the eyes of his parents. The umbilical cord had been wrapped around his leg and he had a short cord, which meant he could only reach my stomach when they put him on me. I was in disbelief and felt so tired. I couldn’t believe he came out of me. The actual moment of birth was such a strange feeling. One minute pregnant and the next not. It was such a relief to feel him on my stomach. Ryan cut the cord after it stopped pulsing while our son squirmed and cried on my stomach. It was such a strange and indescribable moment. Soon Pierce was in my arms, skin to skin, and I was staring into his eyes. How was he ours? How did this happen? I was in a state of extreme happiness mixed with disbelief and exhaustion. After birth I just stared at our son and took in the moment. It was as if the back labor never happened. I felt like it was only Pierce and I in the world. 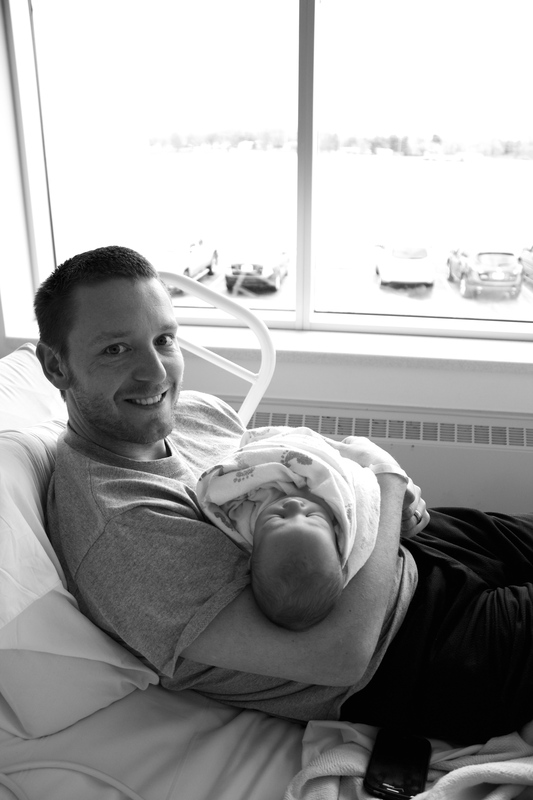 I loved pushing, the actual delivery and meeting our son. The experience was just amazing and so much more than I could have expected. I don’t know why I feared birth. Birth wasn’t scary, it was amazing. I felt so lucky to be able to enjoy the end part of labor rather than remembering only the pain. Some will think I’m crazy, but I can’t wait to do it again. The pain is so worth that big moment of birth. 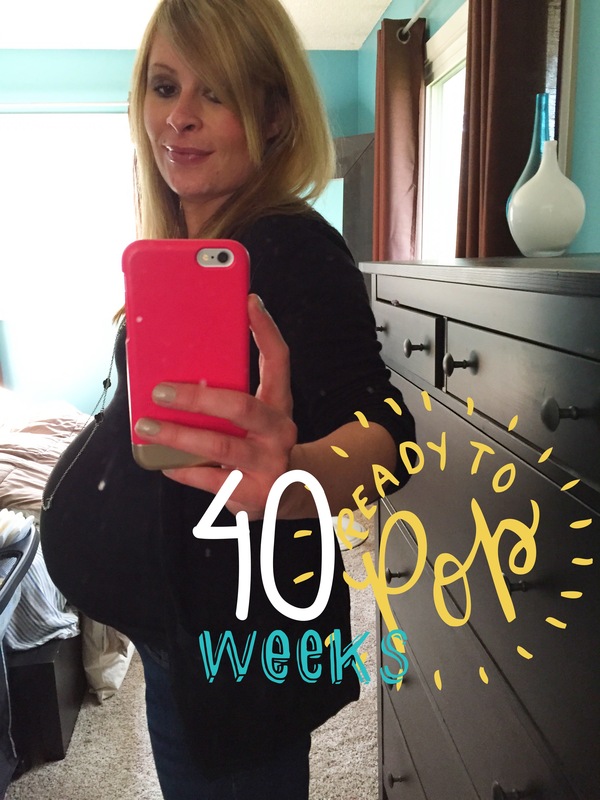 So, future and soon to be mamas…ignore the horror stories. 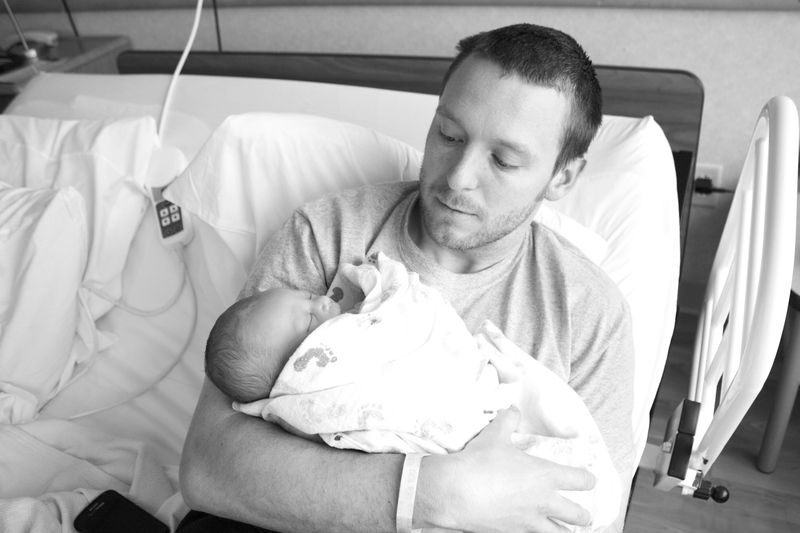 Some labor and delivery stories are not so bad. Know that no matter what plan you have, something else will likely happen. Most importantly, know that no matter what your experience is like, the end is incredible. The next day I felt shockingly amazing. 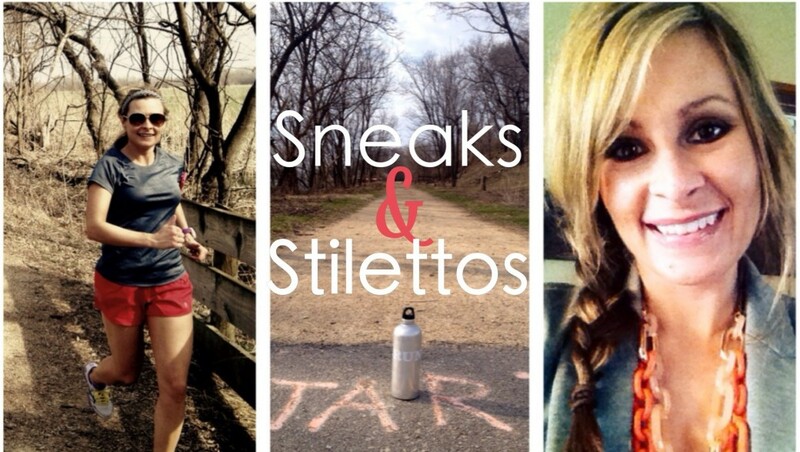 I felt like I’d run a PR marathon the day before. I was in way more pain after running my 50k ultra trail marathon or the Big Cottonwood Marathon (where I was grossly out of shape to run a half marathon much less a marathon down a 6,000 ft. mountain) than I was after giving birth. Maybe it was all the love and emotion you feel for this tiny human. Maybe it was that birth wasn’t as bad as I’d expected once getting an epidural. Or maybe I was just lucky. Feeling good was so unexpected, but allowed me to enjoy those first moments and days with our son in the hospital even more. A favorite from my labor playlist-Alison Krauss-Now That I Found You I heard this song in a different way when thinking about baby K arriving and growing up. We also had awesome nurses and CNA’s who were so helpful. From treating us well, to explaining everything, to making sure we were fed, to massaging my back and putting a heated rice sock on my back, to helping with breastfeeding-the nurses were awesome. My midwife was amazing. 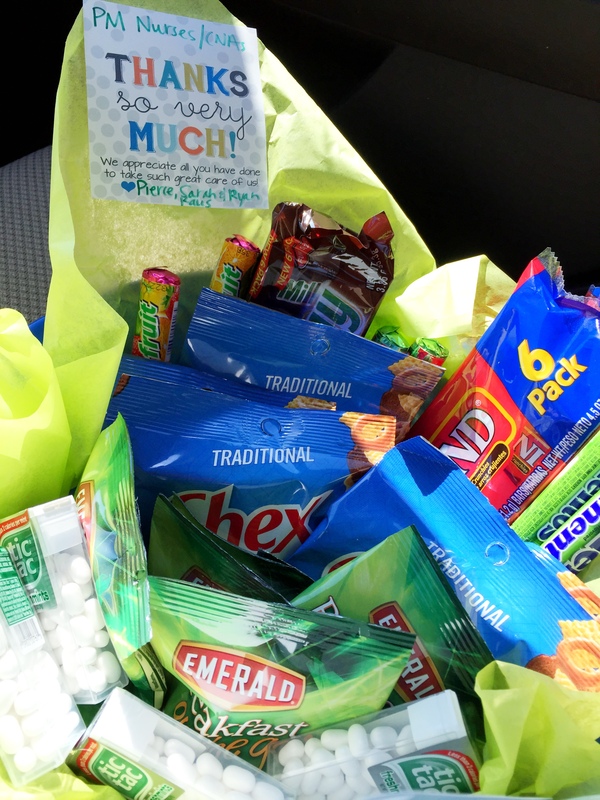 I owe an awesome delivery to her. 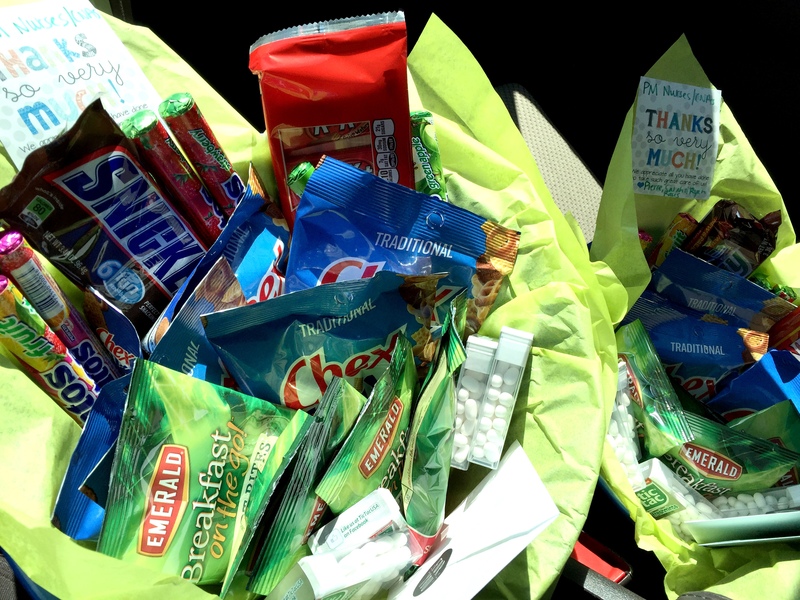 Later on as a thank you to the nurses and CNA’s for the great care we received we dropped off some treats. We just loved our birth experience and stay in the hospital so much. I may have mentioned wanting more kids when we arrived home! Despite not actually using my labor and delivery music in the hospital, I did listen to it during the hours I was in early labor and making the list. Now I love listening to the playlist again because it takes me back to that special day and his delivery in a way I wouldn’t have anticipated. I love rocking our boy and singing some of the songs to him. Being a new mommy is hard work, but also the best. In a strange way it is like he’s always been in our life. 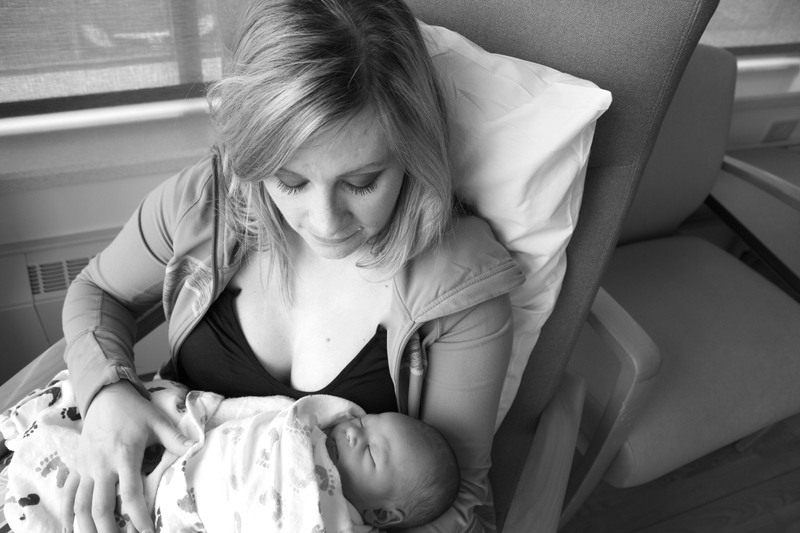 While this is a very personal post, I simply wanted to remember the details of my labor and delivery since it was the greatest experience I’ve had in life. Having a child is way better than any marathon I could have run or PR I could have raced. Both are proof that a little pain makes things in life so worth it! Beautiful💗 congratulations, he is simply perfect! Thank you so much! We think he’s beautiful, too! Sarah – I loved this post!!! Thank you for sharing! 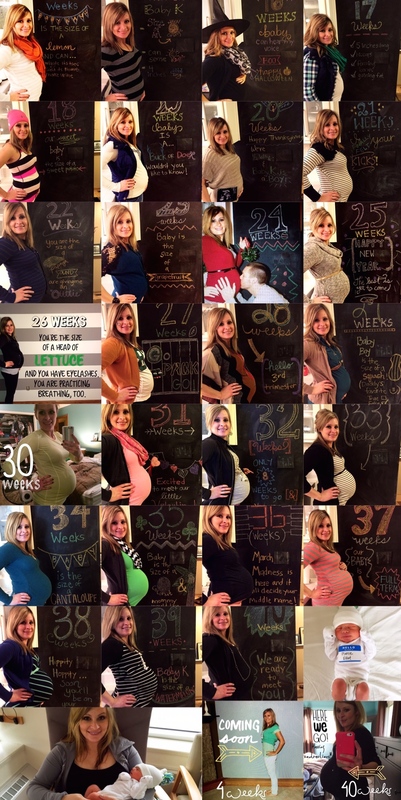 It is so beautiful and I loved learning about your journey into your delivery! Sending lots of love to you and your family!! !